Our years of experience and our network spanning all of Japan enable us to create the perfect setting for your meeting. From the hotel rooms to the equipment in the meeting rooms and including the snacks served during your coffee breaks, hospitality desks and interpreters – we support you in ensuring your conferences or meetings run as smoothly as possible. 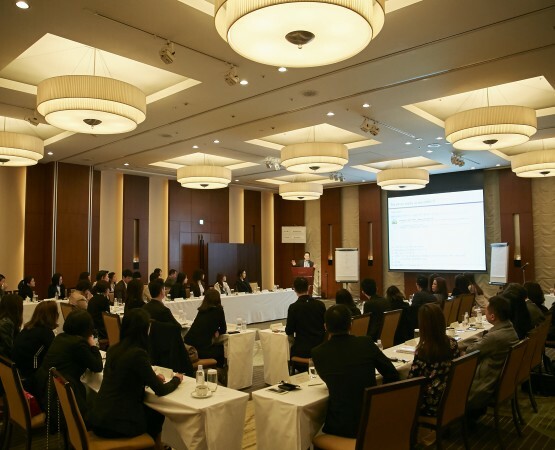 Japans hotels offer excellent conference facilities on site, but also you will find a number of dedicated conference centres for large-scale events. Japan provides a vast array of hotel accommodation for the MICE sector, be it a small business meeting, an incentive or a large conference. Accommodation varies from seaside resorts, central business class hotels and secluded hideaways, all well suited to conference and incentive travel. Our hotel properties provide excellent quality accommodation and state of the art conference facilities. Based on our experience and expertise, we guarantee to offer you best options for your group requirements.